Grab some jars and your kids and get crafty. 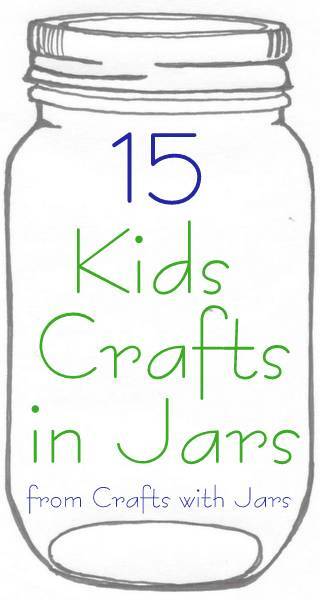 My list of 15 kids crafts in jars is perfect for using as summer boredom busters. The kids will love these crafts and experiments using jars. Plus you get a little relief from the "I'm bored" that you seem to always hear these days. I hope y'all enjoy these great kids crafts in jars. Be sure to follow along on our Pinterest board so you don't miss any of the jar crafts.